Cannot be so cheap.... I take from tebrau to there is rm24. From JB sentral to Bukit Indah atleast rm30. Anyway there is a public bus that goes to Bukit Indah. But it's a pretty long journey. If u are in SG, might as well take a train from Kranji to jurong east and hop on a CW towards BI. Paiseh, I took from KSL, my bad. But also won't expensive until what la. 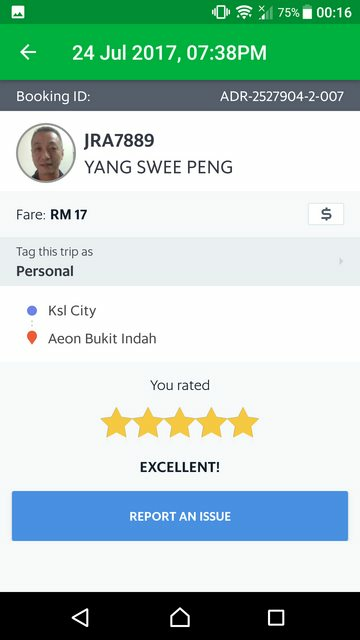 From City Square to KSL Grab about RM7 nia. Add up all RM23 like that lo. Better than wait for the bus slowly move. Anyone knows where to get cheap working shoes like hush puppies or Pedro? Aeon Tebrau city -> Jb Sentral. never been there before, want to take a look there. Had heard stories about the dangers at the bus stop opposite tebrau city. So better to grab/Uber back. There is no bus stop opposite Tebrau city. Just have to stand on side of road and wait for bus. The bus usually parks at Berth 1 or 2 in JB Sentral. If not sure can ask the Causewaylink uncles there. If u mean the BE6 bus, then yes. If other buses across the road, a simple Google map view will show u the photo of the bus stop. Last edited by faded11; 27-08-2017 at 06:28 PM..
Is the buffet breakfast at Ksl hotel worth it? I would like to say its not worth it. Only if you're not willing to get out for other choices.